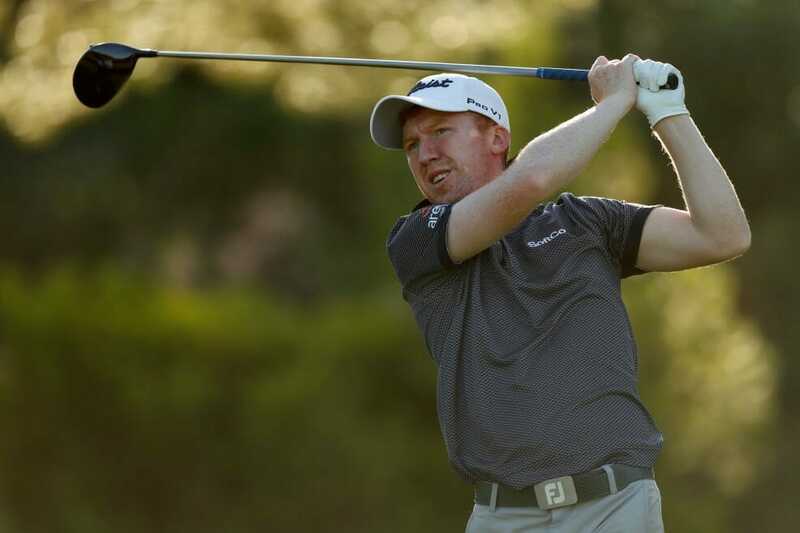 Gavin Moynihan was just four shots off the lead at the Oman Open when the third round at Al Mouj Golf was suspended due to darkness. Following significant delays after a sandstorm and high winds on Friday afternoon, the third round began at 15:20 local time with the Dubliner navigating his way through six holes in one-over par. With conditions proving tough, Moynihan dropped shots at the third and sixth but managed to birdie the par-3 fifth to find himself in a share of 15th spot at one-under par heading into Sunday. Yet with Moynihan’s prospects looking up ahead of what’s sure to be an arduous day’s golf tomorrow, Paul Dunne finds himself propping up the remainder of the field at six-over par. Starting from the 10th hole, Dunne bogeyed 11 and 12 but given the lead only sits at five-under par, the Greystones professional has plenty of time on his side to turn his tournament fortunes around. Maximilian Kieffer is the man to catch after the German poked his nose out in front by a single stroke when round three was called to a halt. Kieffer, who teed off at 17:10, parred the first three holes, before play was suspended, to finish the day one stroke ahead of Gaganjeet Bhullar, Joachim B. Hansen, who birdied the third hole after a double bogey on the second, and Brandon Stone. Sweden’s Peter Hanson is three under par through the first seven holes of his third round, moving to a share of fifth place with Benjamin Hebert, Hugo Leon, Hideto Tanihara and Fabrizio Zanotti on three under. Frenchman Clemént Sordet, who won the European Challenge Tour Grand Final on this golf course in 2017 sits in tenth place on two under par alongside compatriot, and 2014 Ryder Cup player, Victor Dubuisson, England’s David Horsey, Scotland’s Scott Jamieson and Sebastian Soderberg of Sweden. Jorge Campillo made the biggest move on the leaderboard on Saturday afternoon – four under par through eight holes, to move up to a share of 15th on one under. after its completion. There will be a two-tee start with no redraw after the third round.